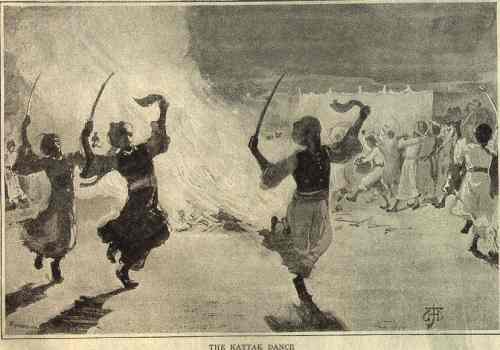 The dance of the Khattaks is usually referred to as a Khattak Dance, as it originally was performed by men of the Khattak Tribe only. This nomenclature is incorrect. 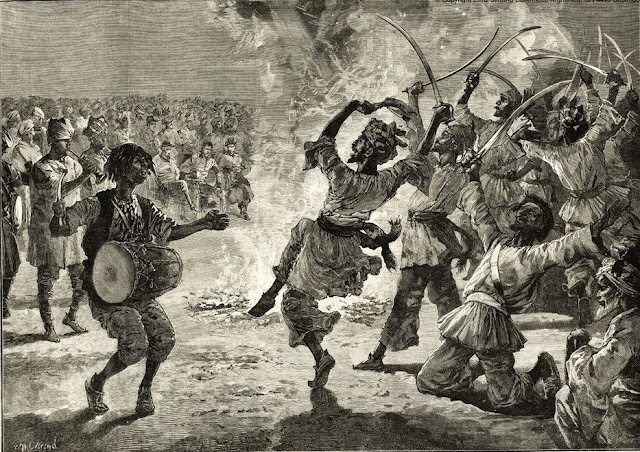 Among the Khattak themselves it is known as the "bangarah" (not to be confused with Bhangra of Punjabis), and the entire performance consists of three separate phases. 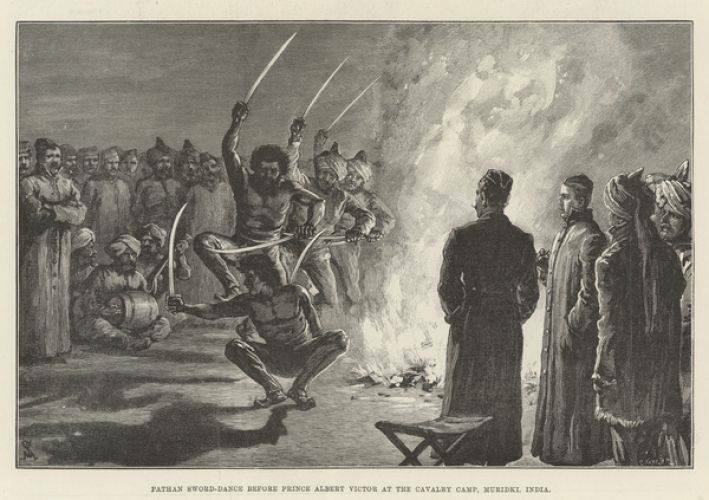 The performance commences with the "bangarah", which is performed with swords, followed by the "derabi", also performed with swords, and as the finale, the "bulbullah", without swords. 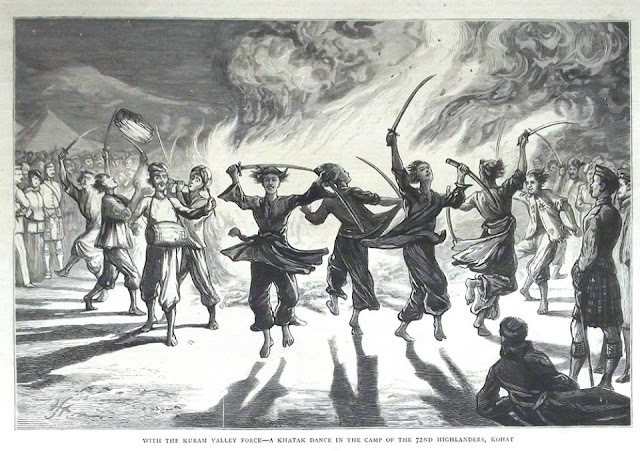 The "derabi" is followed by the "bulbullah", a dance somewhat in style to the movements of the "bangarah", only the swords are discarded and instead, after a twirl, the dancers clap their hands in unison. 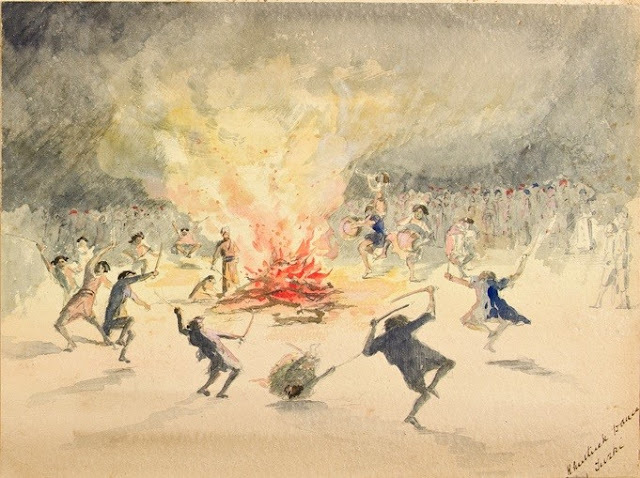 This dance is commenced by two of the dancers singing a love song in a high falsetto voice as they circle slowly round the fire. A "bangarah" is seen at its best when performed on a dark night with a large bonfire of logs and brushwood flaming in the centre of the dancers. Swords which flash in the firelight when whirled are necessary. Brushwood is thrown on the fire, which, bursting into flame, sends sparks high into the air, the sparks looking like a swarm of fire-flies. An important item is the orchestra — two flageolets and two drums. The flageolets when played sound something like the pipes of Scotland. Unless all these conditions are fulfilled, the dance is a tame affair. 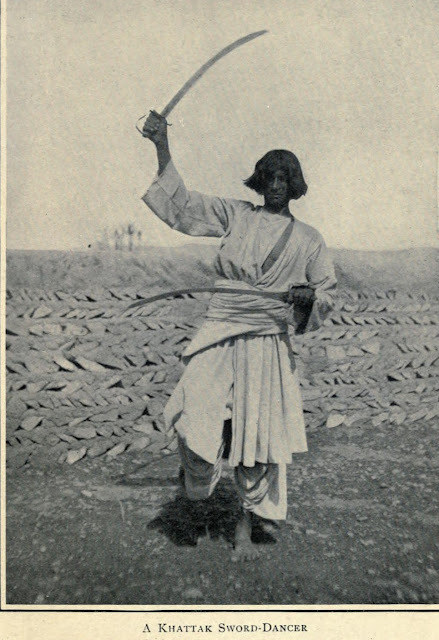 A Khattak sword dancer, 1909." Among the Wild Tribes of the Afghan Frontier" by Theodore Leighton Pennell. 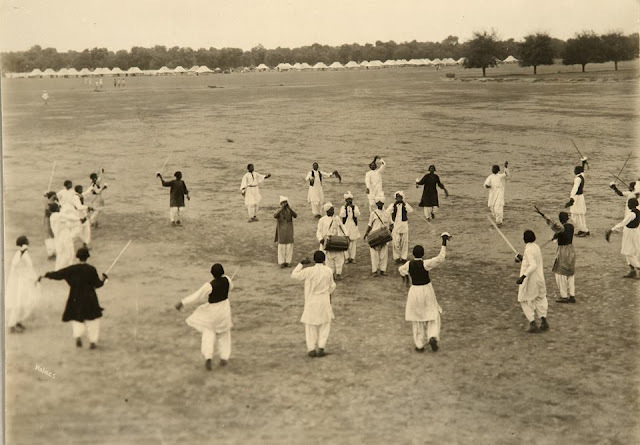 Pathan Sword-Dance before Prince Albert Victor at the Cavalry Camp, Muridki, India. 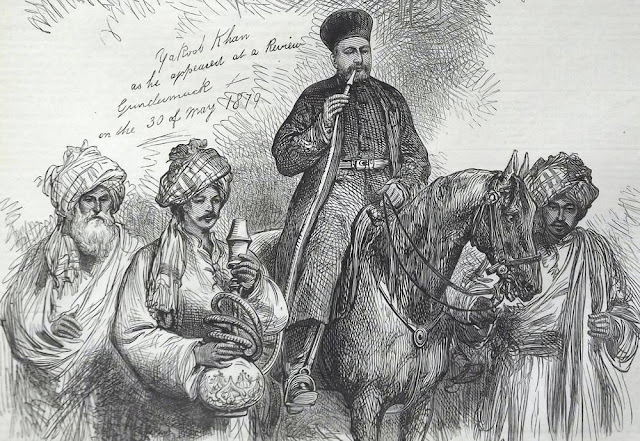 Illustration for The Illustrated London News, 8 March 1890.